This year for Mitsubishi it’s all about crossovers and people-carriers, and on the stand the Japanese manufacturer has unveiled not one, not two, but three concept cars that show a snapshot into what the future may hold for Mitsubishi cars. 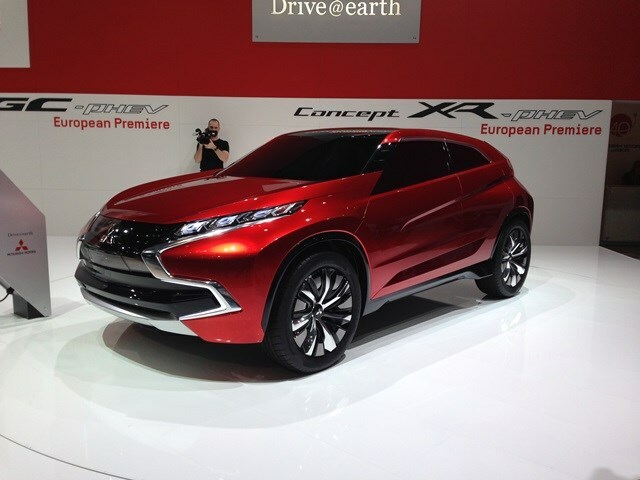 Concept XR-PHEV brings plug-in hybrid technology in an eye-catching coupe like design. First unveiled in Tokyo last year, the XR-PHEV crossover concept uses the same front-wheel drive system used to power the soon to be launched Outlander PHEV. What’s particularly interesting about this concept is the use of solar panels that are built in the roof used for charging the auxiliary equipment in the car. Although this car is not meant for production, the Concept XR-PHEV features the brand’s new visual identity which will be gradually introduced into each new Mitsubishi cars over the coming years. 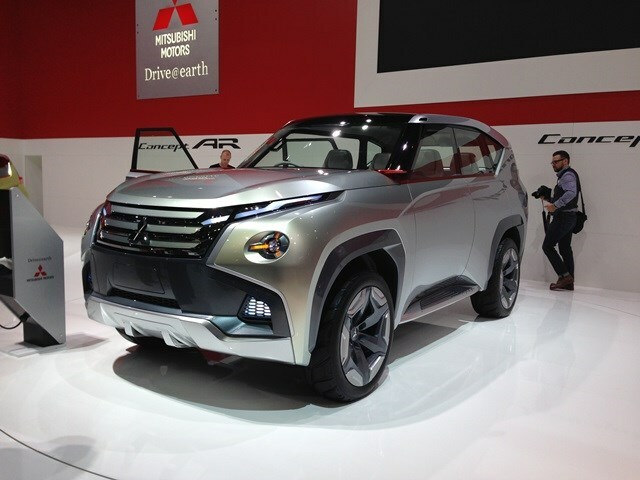 The second concept unveiled is called AR which stands for Active Runabout and is a compact people-carrier which combines some of the characteristics found in modern day Mitsubishi crossovers like the ASX and Outlander. 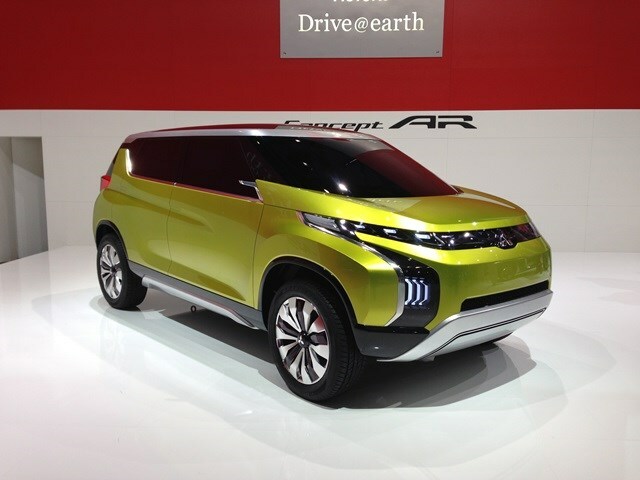 Unveiled first in Mitsubishi’s homeland Japan in November, Concept AR is 4,350mm long and, although not production bound, is a strong indication of the design focus where Mitsubishi will be heading. The third and final concept unveiled at the Mitsubishi stand is the GC-PHEV, a full-size 4WD 4x4. Similar to the XR-PHEV, the GC-PHEV uses a plug-in hybrid powertrain which takes the fundamentals of the Outlander PHEV but on a much bigger scale. The PHEV powertrain in this concept is made of a 3.0-litre V6 super-charged petrol engine mated to an eight-speed automatic transmission and an electric battery which automatically switches between pure EV and Hybrid Modes depending on driving conditions and remaining range.